The original Torchlight was basically Diablo, but in 3D with a few minor tweaks here and there like fishing and the ability to have a pet that would not only help in combat, but also go to town to sell stuff for you. Beyond that, though, the formula was effectively the same: delve deeper and deeper into a seemingly endless dungeon fighting wave after wave of baddies all the while leveling up and collecting a ridiculous amount of loot until you fight the ultra mega mega boss, then that’s it. Oh sure, there were plenty of other things like bonus dungeons, secret rooms, a plot, and clearly there was more than just the one boss, but you get the idea. While they had a lot of extra stuff going on under the hood, it was basically just Diablo in 3D. And of course the sequel does many things the same and a number of things different. If anything, initial impressions will have you thinking Diablo 2 in 3D. This is first and foremost because there are more classes that are more well thought out and because there’s a lot of travel involved and MANY dungeons, not just the one. Besides that, everything is kept at a much faster pace so that it doesn’t feel like it takes forever to get from one place to the next. Another cool aspect here is the fact that various equipment has different types of requirements. Previously if you didn’t meet the level, that was it, you couldn’t equip it until you leveled up some more. Now there are options for equipping it early if you meet certain stat requirements, such as having additional strength, vitality, or whatever. Pets are also a little more helpful in this one in that if you’re getting ready to send it back to town, you can also have it fetch a grocery list of certain items as well on its way back. Plus, there are more types of pets this time around, such as ferrets! There’s also a lot of new customization you can add to your individual characters before starting the game this time around. As far as production values go, well, everything has been turned way up. There are movies between various areas, a fairly decent amount of spoken dialogue, lots of great animation, large and varied environments, and just in general better graphics overall. There are also many new types of weapons this time around to experiment with. Honestly, at this point I’m not sure what else to say. The questing operates more or less the same, as does leveling up, equipment is automatically shown on character when you equip it, you can equip your pets with different stuff as well…but really, you should know all this from the previous one. In many ways, there are a lot of things unchanged, but the original formula was full of win, so why change it? In fact, I don’t think there really is anything more to say. 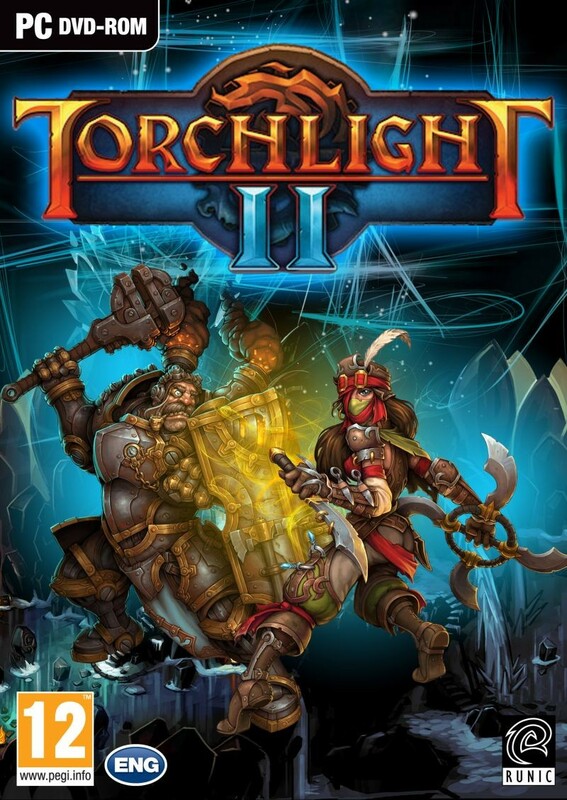 Torchlight 2 is a game that everyone will love because it captured exactly what we would want in a modern dungeon hack n slash and even adds co-op (which I’ve yet to try). I honestly can’t think of anything else to say in its favor, but I think enough has already been said. If you don’t have this title, you’re truly missing out.